Today, Apple announced that it would bring 1,200 new jobs to San Diego, California as part of a national expansion that the Cupertino-based company announced back in December. Apple expects to see 200 jobs in place by the end of this year. Interestingly enough, Qualcomm is also based in San Diego and the two companies have engaged in an ongoing legal back-and-forth with Apple completely dropping reliance on Qualcomm modems as of Apple’s 2018 iPhones, which use Intel modems. Last month, Apple has reportedly begun plans to begin developing its own modems and this move solidifies that notion. Tim Cook mentioned just last week at an investors meeting that it was planning to develop its own processors which we might see in the next five years. 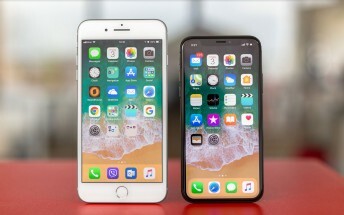 Apple developing its own chipset and modem onto the same process would reduce its reliance on other chip makers and integrating a modem into the CPU as both Qualcomm and HiSilicon (Huawei’s Kirin chip company) already do would be beneficial for Apple to reduce production costs over the long-term and improve battery life for future products. Apple’s announcement about San Diego solidifies its commitment to not only create jobs in San Diego and build a new team and Apple campus, but strengthens its intention to create its own chips. As per EE Times, Apple has already posted several job positions around designing modems and integrated application processors, potentially taking employees from Qualcomm in the process.